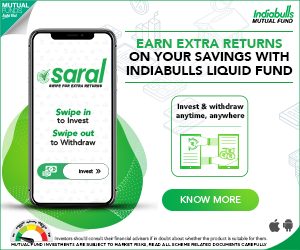 We have seen many entities collecting deposits illegally (or) issuing dubious loans at very low interest rates (or) have lured retail investors by issuing financial securities like Non-Convertible Debentures, Convertible Debentures, Preference Shares and Equity Shares without any approvals from the respective regulators (like RBI/ SEBI/ IRDA etc.,). For instance, the management of AgriGold Farm Estates India allegedly collected deposits to the tune of Rs.7,000 crore from depositors in Andhra Pradesh, Telangana, Karnataka and other states without any statutory permission. More than 32 lakh people have invested their life savings in the schemes offered by this company. People deposited their money in AgriGold Company for its attractive interest rates and other benefits. When their deposits matured, the company could not return their deposits. Pearls Group has been accused of running a Rs 47,000 Crore Ponzi Scam. And I am sure you are aware of Sahara Group’s case. Like these there were many instances where lakhs of investors have been cheated by unscrupulous entities. As of now, we do not have a common online platform to know about the details of Companies offering the Deposit schemes, whether they are genuine or not, to file any compliant on illegal deposit schemes, or to inform the Regulators about any illegal or Ponzi schemes being run in your location. To curb illegal and unauthorized pooling of funds by unscrupulous firms, the Reserve Bank of India has launched a website, www.sachet.rbi.org.in , which will facilitate filing, tracking of complaints, besides providing information about the entities registered with a regulator to accept deposits. Sachet is an initiative by State Level Coordination Committee (SLCC), a joint forum formed in all states to facilitate information sharing among regulators such as Reserve Bank of India, Securities and Exchange Board of India, Insurance Regulatory and Development Authority of India, and Enforcement Directorate, to control incidents of unauthorized acceptance of deposits. An investor can file and track a complaint on this website about any entity which has illegally accepted money from them and/or defaulted in repayment of deposits. We can also share information regarding any such illegal or unscrupulous entity on this portal. It also incorporates regulations prescribed by all financial regulators that different entities have to follow. 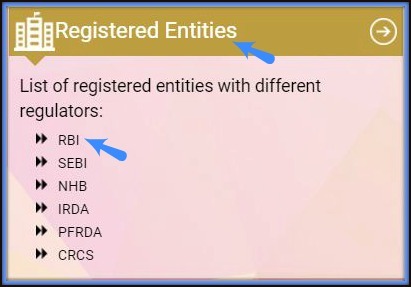 In case if you are planing to invest in a deposit scheme offered by a Housing Finance Company then you can click on ‘NHB’ under the ‘Registered Entities’ section. You will be redirected to ‘National Housing Bank’ portal. 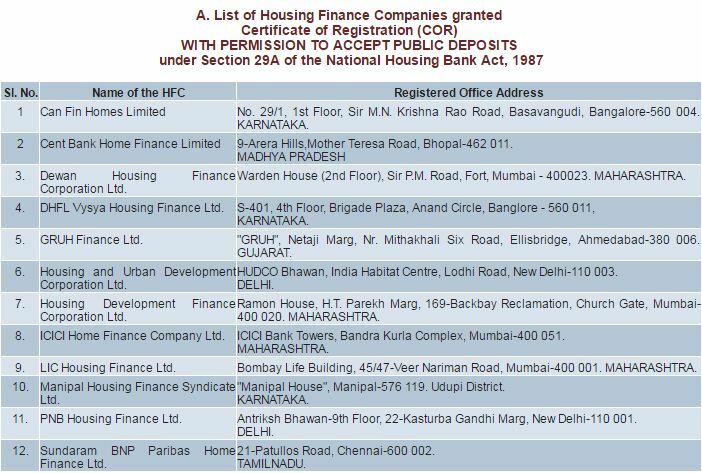 You can check if the concerned entity has an approval to accept the public deposits or not. How to file & track my complaint against an illegal entity? You can an file and track a complaint on this website about any entity which has illegally accepted money from you and/or defaulted in repayment of deposits. Click on ‘File a Compliant’ link. If you know the regulator, please click on the link of the respective regulator to file your complaint. The complaint(s) submitted on this website would be immediately forwarded to the concerned Regulator/Law Enforcement Authority who would take necessary action as per their procedures and processes. You can track your complaint based on Complaint number / Mobile number or your Email-Id. 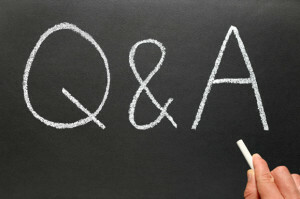 How to inform the Regulator about dubious Entities accepting deposits or money? This website is also meant to gather information regarding any unauthorized acceptance of deposits/money through various schemes by dubious entities so that action could be initiated against such entities. In case you have noticed any suspect activity such as unauthorized acceptance of deposits/money under different schemes, the same can be brought to the notice of the regulators by clicking on the “Help your Regulator” tab. You could also attach documents/pictures to support your information. However, before starting a discussion, it is advised that you may search for existing information on the topic through the search option. Below is a short video on ‘Sachet’ Portal. I am moderately invested in KTDFC fixed deposits. It is very timely in paying interest regularly. But the problem is that currently in SACHET portal it shows that at present, the Co is not accepting deposits from the public & also its name is not listed under organisations listed in COR. What does it mean.? Does it imply KTDFC is cheating clients. Kindly reply at the earliest. 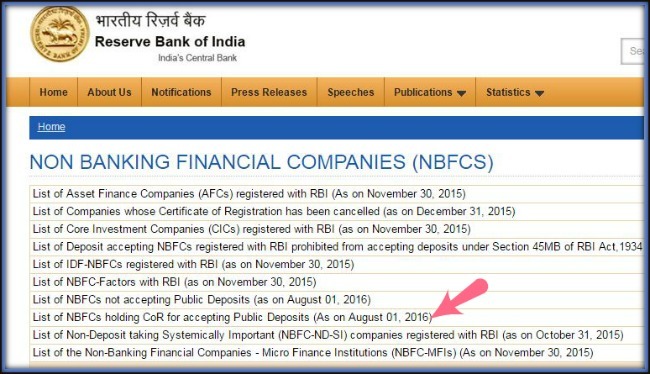 Yes, even I checked the report and it is not listed in the ‘NBFC list that are allowed to accept Public deposits’. You may try submitting your grievance at Sachet portal. If SEBI is indulging in corruption and covering up brokers who have cheated the customers, what can I do, please help. It has happened with me and now SEBI is writing rubbish things to close my case as they have taken Bribre. In the Arbitration they scolded the broker. My account was not for the RM to trade but they traded by luring me.It was an online account.They were not sending the scripts to DEMAT. They were forcing me to sign the Holding Statements when they understood that I had understood they had cheated me. And the crime list is endless…When I asked them for SEBI details for escalating, they even threatened to take legal action against me …I told them to move ahead and SEBI gave them a CLEAN CHIT. Please help where to complain for quick resolution..I complained to Ministry of Finance and they are acting as Post Office, they forwarded me a mail which SEBI wrote to them with irrelevant things. You are welcome dear Ashish. Kindly share the article with your friends. Thank you!